Barend Johannes (Bennie) van der Walt was born on 12 April 1939 in Potchefstroom, South Africa. He studied Theology and Philosophy at the Potchefstroom University for Christian Higher Education and the Free University of Amsterdam, the Netherlands. He holds a ThB in Theology and a doctor’s degree in Philosophy. 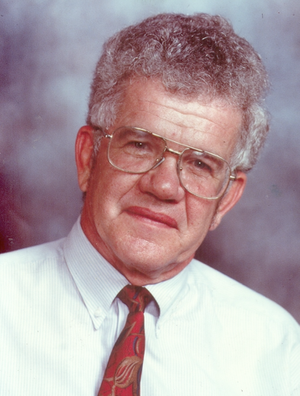 From 1970 - 1974 he was senior lecturer in Philosophy at the University of Fort Hare; from 1975 to 1999 director of the Institute for Reformational Studies at the Potchefstroom University for Christian Higher Education and since 1980 he was also professor in Philosophy at the same university. He retired in 2002. He has written many articles and books, organised a number of national and international conferences and lectured in different parts of the world. He was involved with IAPCHE from its inception in 1975 and served for different terms on its council up to 2000. Koers 75(1) was a Festschrift for Bennie van der Walt. 1971.1 ‘The value and task of Philosophy at the university’. Perspektief: kwartaablad ter bevordering van die Christelike wysbegeerte en die Christelikwysgergie grondslae van die vakwetenskappe 10 (4): 198-216. 1972.1 ‘Life and world view: a philosophical analysis’. Perspektief: kwartaablad ter bevordering van die Christelike wysbegeerte en die Christelikwysgergie grondslae van die vakwetenskappe 11 (2/3): 41-61. 1973.2 ‘The difference between scientific and pre-scientific knowledge’. Perspektief: kwartaablad ter bevordering van die Christelike wysbegeerte en die Christelikwysgergie grondslae van die vakwetenskappe 12 (2-3): 29-42. 1973.3 ‘Eisegesis-exegesis, paradox and nature-grace: methods of synthesis in Medieval Philosophy’. Philosophia Reformata 38: 191-210. 1973.4 ‘The encounter of Arabic and Christian civilization in medieval philosophy with particular reference to the conflict between faith and reason. A comparison between the viewpoints of Averroes and Thomas Aquinas’. Perspektief: kwartaablad ter bevordering van die Christelike wysbegeerte en die Christelikwysgergie grondslae van die vakwetenskappe 11 (4) en 2(1): 27-35. 1973.5 ‘Thomas Aquinas’ idea about wonders: a critical appraisal’. Bulletin die Suid-Afrikannse Verening vir die vordering van Christelike Wetenskap 23: 39-53. 1974.1 ‘Calvinistic outlook – outline of the Institute for the Advancement of Calvinism’. Koers: Bulletin for Christian Scholarship 39 (5/6): 311-322. 1974.2 ‘Man, the tension between the transcendent and the non-transcendent world in the thought of Bonaventure of Bagnorea’. Philosophia Reformata 39. 1974.3 ‘The profile of the twentieth century in the seventies - an analysis of the contours of contemporary Western culture’. Perspektief: kwartaablad ter bevordering van die Christelike wysbegeerte en die Christelikwysgergie grondslae van die vakwetenskappe 13 (2/3): 1-17. 1974.4 ‘In lumine Tuo videbimus lumen: integral Christian scholarship’. Fort Hare Papers 6(1): 63-79. 1975.1 ‘Radical biblical anthropology: remedy for the crisis of contemporary society’. Koers: Bulletin for Christian Scholarship 40 (4-6): 380-401. 1975.2 ‘The relationship of man: a studium generale’. Bulletin van die Suid-Afrikannse Verening vir die vordering van Christelike Wetenskap 47 (Dec): 39-58. 1976.1 ‘A comparison between Bantu and Western thought: outline for an exploratory discussion’. Philosophy in African Context (1976): 85-123. 1976.2 ‘Ethics: theoretical or practical science?’. Koers: Bulletin for Christian Scholarship 41 (5/6): 201-222. 1976.3 ‘First International Conference for Christian Higher Education: review and preview’. In Christian Higher Education: The Contemporary Challenge. Proceedings First International Conference of Reformed Institutions for Christian Scholarship. 9-13 September 1975. Wetenskaplike bydrae van die PU vir CHO, (2nd edn 1983). Reeks F: Institut vir die Bevordering van calvinisme Reeks F3: versamelwerke, no 6. Potchefstroom, Institute for the Advancement of Calvinism, 1976: 407-418. 1976.5 with Prof Dr P G W Du Plessis. ‘The national and international structure and task of the Christian Institution for Higher education: propositions for discussion’. In Christian Higher Education: The Contemporary Challenge. (1976.3): 114-115. 1976.6 ‘Natural theology with special reference to the viewpoint of Thomas Aquinas, John Calvin and the “Synopsis Purios Theologiae”’. In die Skriflig 10 (39): 48-52. 1976.7 ‘“Regnum hominis et regnum Dei”. Historical-critical discussion of the relationship between nature and supernature according to Duns Scotus’. 1978.1 ‘Ad Fontes. Research on the sixteenth century reformation’. Koers: Bulletin for Christian Scholarship 43 (6): 497-530. 1978.2 ‘Lend wings to Calvinism: CHE International Action’. Koers: Bulletin for Christian Scholarship 43 (6): 531-532. 1979.3 ‘Jesus Christ: neither revolutionary nor conservative’. Anakainosis 2 (1): 20-21. 1979.4 ‘Second International Conference of Institutions for Christian Higher Education - Grand Rapids 13-19 August 19878’. 1979.6 ‘The Institute for the Advancement of Calvinism’. Circular (Clearing House of the International Conference of Institutions for Christian Higher Education) 15: 13-18 September. 1980.1 ‘Church reformation: a permanent call’. Woord en Daad/ Word and Action 20 (216-219): (Aug): 11-13; (Sept): 20; (Oct): 5-6; (Nov): 6-8. 1980.2 ‘The intellectual décor for the Reformation’. Tydskrif vir Christelike Wetenskap 16: 25-55. 1980.3 ‘Introduction’. Circular (Clearing House of the International Conference of Institutions for Christian Higher Education) 17: 1-4. (Jan). 1980.4 ‘The relevancy to the black peoples of Africa of a Calvinistic cosmoscope’. Koers: Bulletin for Christian Scholarship 45 (3): 236-250. 1981.1 Why the State? : Bible Study on Romans 13 and Revelation 13. Wetenskaplike bydraes van die PU vir CHO. Potchefstroom: PU vir CHO. Series F: Institute for the Advancement of Calvinism Series F2: Brochures, no 18: 21pp. 1981.2 Anatomy of reformation: Flashes and Fragments of a Reformational Worldview. Series Wetenskaplike bydraes van die PU vir CHO. Reeks F3, Versamelwerke; no. 13. Potchefstroom: PU vir CHO. 1982.1 ‘The best of John Calvin, by S. Dunn (Book review)’. Kerbode 134 (1): 7. 1982.2 ‘Important recent studies on the sixteenth century reformation’. Circular (Clearing House of the International Conference of Institutions for Christian Higher Education). 27: 64-67. 1982.3 ‘Foreword’. In Calvinus Reformator: his contribution to theology, church and society. Wetenskaplike bydraes van die PU vir CHO. Reeks F3, Versamelwerke ; no. 17. 1982.4 ‘Renaissance and Reformation: contemporaries but not allies’. In Calvinus Reformator: his contribution to theology, church and society. Wetenskaplike bydraes van die PU vir CHO. Reeks F3 no 17: 85-92. Potchefstroom: PU vir CHO. 1982.5 ‘Zwingli’s thought: new perspectives’. In die Skriflig 62:54-55. 1983.1 ‘The consistent-problem historical method’. Anakainosis. 5 (2/3): 1-22. 1983.2 ‘Studying religion: a methodological introduction to science of religion by J S Kruger (Book review)’. In die Skriflig 66: 48-9. 1984.1 ‘Vision – reality – vistas for the future: spot impressions of the IRS conference held on 4 and 5 November 1983. Orientation 32: 72-94. 1984.2 ‘An alphabetical list of key words indicating problem areas in the African (and other Third World) situation’. Orientation 32: 62-65. In Our Reformational Tradition: a rich heritage and lasting vocation. Wetenskaplike bydraes van die PU vir CHO. Potchefstroom: PU vir CHO. F3 no 21 i-ii. 1984.4 ‘John Hus, a reformer in his own right’. In Our Reformational Tradition: a rich heritage and lasting vocation. Wetenskaplike bydraes van die PU vir CHO. Potchefstroom: PU vir CHO. Reefks F: IRS F3 no 21: 30-60. 1984.5 ‘John Knox: the Scottish reformer who feared no man’. In Our Reformational Tradition: a rich heritage and lasting vocation. Wetenskaplike bydraes van die PU vir CHO. Potchefstroom: PU vir CHO. F3 no 21: 146-154. 1984.6 ‘Was Calvin a Calvinist or was/ is Calvinism Calvinistic?’. In Our Reformational Tradition: a rich heritage and lasting vocation. Wetenskaplike bydraes van die PU vir CHO. Potchefstroom: PU vir CHO. F: IRS F3 no 21: 369-377. 1984.7 ‘The Synopsis Puriorius Theologiae – is it really so pure? Philosophical impurities in the post-Dordtian theology’. In Our Reformational Tradition: a rich heritage and lasting vocation Wetenskaplike bydraes van die PU vir CHO. Potchefstroom: PU vir CHO. F: IRS F3 no 21: 378-423. 1984.8 Communicating the gospel of the kingdom of God at the PU for CHE and its IRS. Potchefstroom: PU vir CHO. IRS. 1984.9 ‘Report on the first conference of ICPCHE’. Orientation. 35: 6-17. 1984.11 ‘The will of God’. RESA Newsletter 8: 5-9. 1984.12 ‘Woman and marriage in the Middle Ages’. Proceedings of the Seventh Biennial Conference of the Medieval Society of South Africa: 189-201. In John Calvin's Institutes: his opus magnum: proceedings of the Second South African Congress for Calvin Research, July 31-August 3, 1984. Wetenskaplike van die bydraes van die PU vir CHO. F3: no 28: i-iii. 1986.3 ‘Woman and marriage: in the Middle Ages, in Calvin and in our own time’. In John Calvin's Institutes: his opus magnum. Wetenskaplike van die bydraes van die PU vir CHO. F3 no 28: 184-238. 1986.4 ‘Secularization and ideolization: the two most dangerous enemies of Christianity in South Africa today. How to recognise them’. Orientation 42: 64-87. 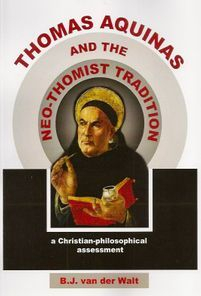 1986.5 ‘Book review: Aquinas, Calvin and Contemporary Christian Thought by Vos’. 1987.1 ‘Preface’. In Educational Challenges in Southern Africa in a Christian-Reformational Perspective. Wetenskaplike van die bydraes van die PU vir CHO. IRS. F3 no 30: i-iv. 1987.2 ‘Integral Christian scholarship: looking into the heart of the PU of the CHE’. In Educational Challenges in Southern Africa in a Christian-Reformational Perspective. Wetenskaplike van die bydraes van die PU vir CHO. F3 no 30: 235-260. 1987.3 ‘Education, teaching, training: a few concluding remarks’. In Educational Challenges in Southern Africa in a Christian-Reformational Perspective. Wetenskaplike van die bydraes van die PU vir CHO F3 no 30: 347-354. 1987.4 The Institute for Reformational Studies: twenty-five years of service (1962-1987). Potchefstroom: PU vir CHO IRS. 1987.5 ‘The cunning of modern religious thought by David S Pacini (book review)’. 1988.1 On Being Human and Being a Christian in Africa: Communalism, Socialism, and Communism in a Struggle for an African Anthropology. Wetenskaplike van die bydraes van die PU vir CHO (2nd edn) F2 no 42. Potchefstroom University for Christian Higher Education. 1988.2 ‘Psalm 72: a prayer for government to govern according to God's will’. Woord en Daad/ Word and Action 28 (307) (March): 2, 14-15. 1988.3 ‘Reformational comments on the Kairos document: prefatory remarks’. Orientation 48: 60-61. 1988.4 ‘In a bullet casing - a toast’. Orientation 50/51: 20-39. 1988.5 ‘Ideolatry’. Orientation 50/51: 53-68. 1988.6 ‘Flee from the idols!’. Orientation 50/51: 223-244. 1988.7 ‘Secularism: the most dangerous enemy of Christianity’. Orientation 50/51: 171-182. 1988.8 Why the State? Bible Study on Matthew 22, Romans 13 and Revelation 13. Wetenskaplike bydraes van die PU vir CHO. Reeks F2, Brosjurereeks ; no. 18. Potchefstroom: PU vir CHO. 1988.9 The Bible as an eye opener on the position of woman. Wetenskaplike van die bydraes van die PU vir CHO. (2nd edn) F2 no 44. 1998.10 ‘The Interaction between the post-secondary education system and the statutory professional councils’. by J C Pauw; J B Z Louw; B J Van der Walt; Committee of University Principals (South Africa); A G S.; Universities and Technikons Advisory Council (South Africa). Committee of Technikon Principals. ; South Africa. Dept. of National Education. Pretoria: The Dept. 1989.2 ‘And he continued his way with joy’. Orientation 52-54: 30-40. 1989.3 ‘Is it really worthwhile?’. Orientation 52-54: 213-218. 1989.4 ‘Preface’. In Visie en Missie/ Vision & Mission: IRS 25 jaar (1962-1987): die reformatories-evangeliese lewensvisie en die toekomstige missie van Christelike hoër onderwysinrigtings in wereldperspektief. Wetenskaplike van die bydraes van die PU vir CHO. F3 no 35: 121-137. 1989.5 ‘Relevant Christian theological education for Africa’. In Visie en missie/ Vision & Mission: IRS 25 jaar (1962-1987): die reformatories-evangeliese lewensvisie en die toekomstige missie van Christelike hoër onderwysinrigtings in wereldperspektief. Wetenskaplike van die bydraes van die PU vir CHO. F3 no 35: 121-137. 1990.2 ‘Preface’. In Venster op mag en geweld: Christelike perspektiewe = Reflections on power and violence: Christian perspectives. Wetenskaplike bydraes van die PU vir CHO, Reeks F3, Versamelwerke ; no. 37. Potchefstroom: PU vir CHO: 6-12. 1990.4 ‘Introduction’. Orientation. 55-57 (Dec 1989- Jun 1990): 1-6. 1990.5 ‘A vision of renewal for education in South Africa: opening meditation based on Ezekiel 47:1-12 for IRS Course in Christian School Education. 22-24 Feb’. Orientation. 55-57 (Dec 1989-Jun1990): 246-249. 1990.6 ‘Relevant Christian theological education for Africa’. In Gilbert Okoronkwo ed. Church, and society - can they work in harmony? Nairobi: Association of Evangelicals of Africa and Madagascar: 30-49. 1991.3 ‘Finding a husband/ wife (Genesis 14)’. Orientation (Dec 90-Dec 91) 58-62: 232-245. 1991.4 ‘Christ as the wedding guest (John 2: 1-12)’. Orientation (Dec 90-Dec 91) 58-62: 245-253. 1991.5 ‘The secret of marriage (Song of Songs 8:6,7)’. Orientation (Dec 90-Dec 91) 58-62: 253-259. 1991.6 ‘Being married is not everything (1 Cor 7: 36)’. Orientation (Dec 90-Dec 91) 58-62: 259-264. 1991.7 A Christian Worldview and Christian Higher Education for Africa. Potchesfroom: PU vir CHO. 1991.8 ‘The idea of reform’. In W. van't Spijker ed. Calvin: Erbe und Auftrag: Festschrift für Wilhelm Heinrich Neuser . Kampen: Kok; pp 18-30. 1991.9 ‘A provisional comparison between traditional African culture and Western culture’. In Kultuurverskeidenheid in Afrika: verleentheid of geleentheid? = Cultural diversity in Africa: embarrassment or opportunity? Wetenskaplike bydraes van die PU vir CHO, Potchefstroom: PU vir CHO. No 40: 211-221. 1991.10 ‘Jonah and us: fleeing from God’s transcultural command’. In Kultuurverskeidenheid in Afrika: verleentheid of geleentheid? = Cultural diversity in Africa: embarrassment or opportunity?. Wetenskaplike bydraes van die PU vir CHO. Reeks F3, Versamelwerke ; no. 40. Potchefstroom: PU vir CHO. 1991.11 ‘Preface’. In Paul Marshall A Calvinist Political Theory. Wetenskaplike bydraes van die PU vir CHO. Reeks F1, IRS-studiestukke ; no. 283. 1991.12 ‘Preface’. In H. Antonides and E. Vanderkloet A Christian Labour Association. Wetenskaplike bydraes van die PU vir CHO. Reeks F1. IRS-studiestukke ; no. 285. Potchefstroom: PU vir CHO. 1991.13 ‘Preface’. In G. N. Monsma et al. Poverty in Southern Africa Series Wetenskaplike bydraes van die PU vir CHO. Reeks F1, IRS-studiestukke ; no. 287. Potchefstroom: PU vir CHO. 1991.14 Window on the World: On the Nature of Worldviews and the Value of a Christian Worldview for Africa. Potchefstroom: PU vir CHO. IRS. 1992.1 ‘Leave, cleave unto one and be one: the threefold mystery of marriage. Many to many 2: 45-51. 1992.2 ‘Twenty-one theses about sound “democratization” of Universities in the light of a reformational philosophy of society’. Woord en Daad/ Word and Action 32 (339): 16-18. 1992.3 ‘New hope for a bleeding Africa’. Woord en Daad/ Word and Action 32 (341): 27-28. 1992.4 ‘New hope for a bleeding continent’. SWO/CSD-Bulletin 4(9): 13, 18 (Oct). 1992.6 ‘The task of IAPCHE in the African context’. In Christian Education in the African Context Proc. of the African Regional Conf. of the IAPCHE, Harare 4-9 March 1991. Orientation 63-66 (Jan – Dec 1992): 185-189. 1993.1 ‘A Christian university – what it really is and what it does not want to be’. Woord en Daad/ Word and Action 33 (343): 3-6. 1993.2 ‘The family: a new vision for Africa’. Woord en Daad/ Word and Action 33 (344): 23-25. 1993.4 ‘We need more than ethics’. Woord en Daad/ Word and Action 33 (346): 21-24. 1993.6 ‘Do we not perhaps need more than (business) ethics?’. In Window on Business Ethics: a Challenge to Christians/ Venster Op Bestuursetiek. Wetenskaplike bydraes van die PU vir CHO . Reeks F3 no 43: 208-216. Potchefstroom: PU vir CHO. 1993.7 ‘Preface’. With Swanepoel, Rita Integral Christian Scholarship: Exploratory Reflections on the African Situation. Potchefstroom, RSA: Institute for Reformational Studies, on behalf of the Potchefstroom University for Christian Higher Education. Orientation, no. 67-70, Jan.-Dec. 1993. i – viii. 1993. 8 The pilgrim’s progress of a Christian academic. Orientation. 67-70: 100-122. 1994. 1 The Liberating Message: A Christian Worldview for Africa Wetenskaplike bydraes van die PU vir CHO. Reeks F, Instituut vir Reformatoriese Studie. Reeks F3, Versamelwerke; no. 44. Potchefstroom University for Christian Higher Education, Institute for Reformational Studies. 1994.3 ‘Preface’. In [Christian Higher Education in the African context]: "continuing the line of the two previous editions of Orientation (1992 and 1993)" Orientation 71-74: i-ii. 1994.4 ‘The crying need for a Christian worldview and a Christian philosophy In Africa’. Orientation 71-74: 162-207. 1994.5 ‘A Christian approach to the diversity in political viewpoints, religions and cultures: illustrated by way of a case study of South Africa’. Orientation 71-74: 337-418. 1994.6 ‘Human dignity and identity according to apartheid and according to the Word of God’. In M. Waijaki, Y. Turaki, B. J. van der Walt and P. Kasenene. Visions of Man and Freedom in Africa: 29-52 Series Wetenskaplike bydraes van die PU vir CHO. Reeks F1, IRS-studiestukke ; no. 302. Potchefstroom: PU vir CHO. 1994.7 ‘A reformational look at the powers and authority of the office bearers’. Woord en Daad/ Word and Action 34 (347): 25-26. 1994.8 ‘Take a good look at office, authority and power’. Woord en Daad/ Word and Action 34 (349): 14-17. 1994.9 ‘Afrikaner identity in perspective’. Woord en Daad/ Word and Action 34 (350): 25-27. 1995.1 Leaders with a Vision: How Christian Leadership Can Tackle the African Crisis. Potchefstroomse Universiteit vir Christelike Hoer Onderwys. 1995.2 ‘A Christian approach to the diversity in political viewpoints, religions and cultures’. In J L van der Walt ed. Multicultural Education: New Challenges for South Africa. Conference Proceedings, 4-6 August 1994 Potchestroom: PU vir CHO. 44-111. 1995.3 ‘Preface’. In B J van der Walt ed. Hope for the Family. Wetenskaplike bydraes van die PU vir CHO. Reeks F1, IRS-studiestukke ; no. 335. Potchefstroom: PU vir CHO. 1995.4 ‘Preface’. In H Antonides Reclaiming our Daily Work. Wetenskaplike bydraes van die PU vir CHO. Reeks F1, IRS-studiestukke ; no. 330. Potchefstroom: PU vir CHO. 1995.5 ‘Preface’. In K C Sewell The Idea of a Free Christian University Wetenskaplike bydraes van die PU vir CHO. Reeks F1, IRS-studiestukke ; no. 334. Potchefstroom: PU vir CHO. 1996.3 ‘God in South Africa's new political dispensation’. Woord en Daad/ Word and Action 36 (357): 14-16. 1996.5 ‘Responsibility, conversion, confession, forgiveness, restitution and reconciliation: six of God's requirements for a new South Africa’. Wetenskaplike bydraes van die PU vir CHO. Reeks F1, IRS-studiestukke ; no. 337. Potchefstroom: PU vir CHO. 1996.6 editor with C.F.B. Naudé Christianity and Democracy in South Africa: a Vision for the Future. Wetenskaplike bydraes van die PU vir CHO. Reeks F1, IRS-studiestukke ; no. 345. 1997.1 Afrocentric or Eurocentric: Our Task in a Multicultural South Africa. Wetenskaplike bydraes van die PU vir CHO. Reeks F2, Brosjures van die Instituut vir Reformatoriese Studie ; no.67. Potchefstroomse Universiteit vir Christelike Hoer Onderwy, IRS. 1997.5 ‘The voice of this conference in the context of voices from the past and present’. In Christianity and democracy in South Africa: Christian responsibility for political reflection and service. Orientation: International Circular of the PU for CHE: 1-7. 1997.6 ‘Report on the conference’. In Christianity and democracy in South Africa: Christian responsibility for political reflection and service. Orientation: International Circular of the PU for CHE: 267-277. 1997.7 ‘Appendix: Does religious freedom imply religious equality A biblical perspective?’. In Christianity and democracy in South Africa: Christian responsibility for political reflection and service. Orientation: International Circular of the PU for CHE: 284-297. 1999.1 ‘Christian religion and society: the heritage of Abraham Kuyper for (South) Africa’. In C van der Kooi and J Bruijn ed. Kuyper Reconsidered: aspects of his work and life. Amsterdam: Free University Utigeverij: 228-237. 1999.2 Religion and Society: Christian Involvement in the Public Square. Wetenskaplike bydraes van die PU vir CHO. Reeks F3, Versamelwerke ; no. 50. Potchefstroom: PU vir CHO. 2000. 2 ‘Towards a Biblical-Reformational perspective on development’. Woord en Daad/ Word and Action 40 (374): 20-22. 2000.3 ‘The Gospel, Christianity and culture’. Woord en Daad/ Word and Action 40 (374): 8-9. 2001.2 ‘Culture, worldview and religion; a perspective from the African continent’. Philosophia Reformata 66 (1): 23-38. 2001.3 ‘Transformed by the renewal of your mind; in commemoration of the 50th Anniversary of Potchefstroom as an independent Christian University on 17 March 2001’. Woord en Daad/ Word and Action 41 (375): 20-25. 2001.5 ‘Shaping a radical biblical worldview’. Woord en Daad/ Word and Action 41 (376): 13-17. 2001.6 ‘What does it mean to be Reformed? An answer from a worldview perspective’. In die Skriflig 35 (2): 299-316. 2001.7 ‘The shape of an integral Christian cosmoscope’. In John Kok ed. Marginal Resistance: Essays Dedicated to John C Vander Stelt. Sioux Center: Dordt College Press: 71-88. 2001.8 ‘A Reformed perspective on development in Africa: a personal pilgrimage’. In H J Hendriks, D A Luidens, R J Nemeth, C E Smidt and H Stoffels ed. Reformed Encounters with Modernity: Perspectives from Three Continents. Stellenbosch: The International Society for the Study of Reformed Communities (ISSRC): 65-73. 2001.9 ‘Corruption. The many-headed monster’. Koers: Bulletin for Christian Scholarship 66 (4): 691-705. 2001.11 ‘The question about meaning’. Proceedings of the International Conference on Evangelical Theology, Seoul (Korea), 25-27 Oct. 2001. pp. 50 -1 (English), pp. 52 ff (Korean). 2002.1 ‘Seek and you will find; the message of the wise men (Matt 2:1-12)’. Woord en Daad/ Word and Action 42 (382) (Summer): 1-3. 2002.2 ‘Our past heritage, present opportunity and future challenges; reflections on the past 25th anniversary of the International Association for the Promotion of Christian Higher education’. Christian Higher Education 1 (2-3): 123-137. 2002. 3 ‘The challenge of Christian Higher Education on the African continent in the twenty-first century’. Christian Higher Education 1 (2-3): 195-227. 2002.4 ‘Reformation and /or renaissance? A comparison between John Calvin’s and Thabo Mbeki’s ideas of renewal’. Koers: Bulletin for Christian Scholarship 67 (2): 135-157. 2002.5 ‘Culture, worldview and religion: towards a biblical-reformational perspective on development’. African Journal for Transformational Scholarship 1 (1): 1-26. 2002.6 ‘Religion and society in Africa: the heritage of Abraham Kuyper’. In A B Tshibangu and B G Ahule ed. Christian Worldview: a book of readings. Gboko, Benue State, Nigeria: Nimsy Printing and Publishing. 2003.1 The Enchanting World of the Drakensberg Mountains as Experienced by an Adventurous Family. Potchefstroom: Institute for Contemporary Christianity in Africa. 2003.2 Understanding and Rebuilding Africa: From Desperation Today to Expectation for Tomorrow. Potchefstroom: Institute for Contemporary Christianity in Africa. 2003.3 ‘The question about the meaning of life’. Woord en Daad/ Word and Action 43 (Autumn): 2-7. 2003.4 ‘Morality in Africa, yesterday and today; the reasons for the contemporary crisis’. In die Skriflig 37 (1): 51-72. 2004.1 ‘Religious diversity, equality, freedom and tolerance’. African Journal of Transformational Scholarship 1 (2): 22-44. 2004.2 ‘Religion and society in Africa: The heritage of Abraham Kuyper’. In John B. Hulst (editor) Christian Worldview and Scholarship. Eltham, Victoria: Amani Educational services: 22-29. 2004.4 ‘The essence of contemporary secularism: the separation between “private” and “public”’. Woord en Daad/ Word and Action 44 (389) (Lent/ Spring): 1-2. 2004.5 ‘Antheunis Janse van Biggekerke (1890-1960): morning star of a 20th century reformation’. Koers: Bulletin for Christian Scholarship 69 (2): 221-258. 2005.1 ‘Growing together in faith: how can it be understood theoretically and be achieved practically?’. Journal for Christian Scholarship = Tydskrif vir Christelike Wetenskap 41 (4): 141-168. 2005.2 ‘The concept of leadership – in Africa, the Western world and according to the Bible’. Woord en Daad = Word and Action 45 (391 & 392) (Autumn and Winter): 12-18. 2005.3 ‘Leadership implies office, authority, power organisation and responsibility’. Woord en Daad = Word and Action 45 (393 & 394): 8-12. 2005.4 ‘The challenge of the African way of thinking to the western mode of thought: how to Africanize Western science’. In John Kok ed. Ways of Knowing in Concert. Sioux Center: Dordt College Press: 165-188. 2006.2 ‘The philosophy of D. H. Th. Vollenhoven (1892-1978), with special reference to his historiography of philosophy’. Journal for Christian Scholarship = Tydskrif vir Christelike Wetenskap 42 (1-2): 35-39. 2006.3 ‘Religious diversity, intolerance, freedom, equivalence, uniqueness and tolerance’. In J. Dinakarlal (editor) Christian Higher Education in Asia/ Oceania: Moving Towards a New Vision. Proceedings of the Regional Conference for Asia/ Oceania IAPCHE, January 13-17, 2005. Sioux Center, Iowa: IAPCHE pp 110-122. 2006.4 ‘Leadership models in Africa, the West and the Bible’. In Peter Blokhuis and Evelyn K Hielema ed. Civil Society: East and West. Proceedings of the regional Conferecne for Europe IAPCHE August 20-23, Sioux Center: Dordt College Press: 145-168. 2007.1 Transforming Power: Challenging Secular Society. Potchefstroom: Institute for Contemporary Christianity in Africa. 2007.3 ‘Ad Fontes: First building blocks for a history of Reformational philosophy’. Unpublished English version of original article published in Afrikaans in Journal for Christian Scholarship = Tydskrif vir Christelike Wetenskap 43: 216-234. 2007.4 ‘The clash of cultures: how to explain and evaluate cultural differences from a philosophical reflection’. Journal for Christian Scholarship = Tydskrif vir Christelike Wetenskap 43: 137-161. 2008.2 The Eye is the Lamp of the Body: Worldviews and their Impact. 2008.3 ‘How to explain and evaluate cultural differences from a Reformational-Christian perspective’. In Nick Latinga (editor) Christian Higher Education in the Global Context: Implications for Curriculum, Peadagogy, and Administration. Proceedings of the International Conference IAPCHE, 15-19 November 2006, Granada, Nicaragua. 33- 52. Woord en Daad/ Word and Action 47 (410 & 402): 10-14. 2008.5 ‘The unique nature of the Bible and how to read it: a reformational-philosophical reflection.’ Journal for Christian Scholarship = Tydskrif vir Christelike Wetenskap 44:59 – 87. 2009.1 At Home in God's World: A transforming paradigm for being human and for social involvement. Potchefstroom: ICCA. 2009.2 ‘The idea of reformation: a few historical landmarks.’ Word and Action = Woord en Daad 49: 3 – 8. 2010.1 ‘Calvin and the spiritual trends of his time: the uniqueness of the 16th century Protestant Reformation.’ In die Skriflig, 44(4):23-45. 2010.2 ‘Philosophical and theological influences in Calvin’s thought: reviewing some research results.’ In die Skriflig, 44(4): 105-127. S. Bishop (ed.) Like the first gleam of dawn: reformational studies. A B. J. van der walt reader. Potchefstroom: The Institute for Contemporary Christianity in Africa. Spotlight on sport: a Christian worldviewish-philosophical reflection. 2011.2 ‘Flagging philosophical minefields at the Synod of Dort (1618-1619) - reformed Scholasticism reconsidered.’ Koers: Bulletin for Christian Scholarship = Koers: Bulletin vir Christelike Wetenskap 76: 505 – 538. 2013.1 How not to internationalize - and perhaps secularize - Christian Higher Education. Potchefstroom: ICCA. 2014.1 Constancy and Change: Historical Types and Trends in the Passion of the Western Mind. 2014.2 At the Cradle of a Christian Philosophy: Calvin, Vollenhoven, Stoker, Dooyeweerd.